Stormtroopers. All they know is killing and white uniforms (and probably nothing about installing a toilet main), or so the saying goes. So you might not think about them much during your games of Imperial Assault. 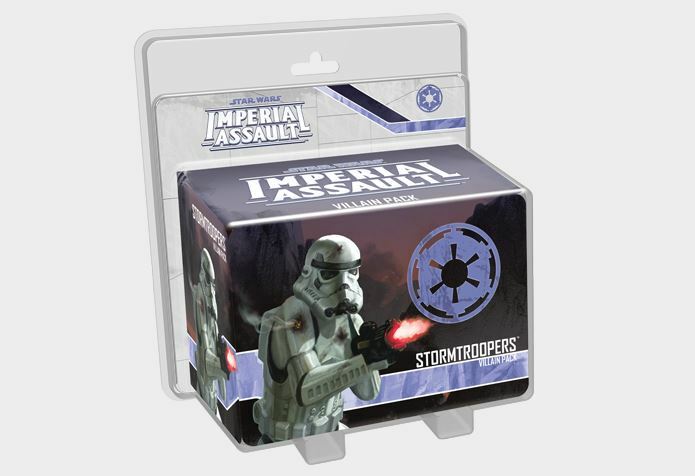 However, you can't really have much of an imperial assault without Imperials. 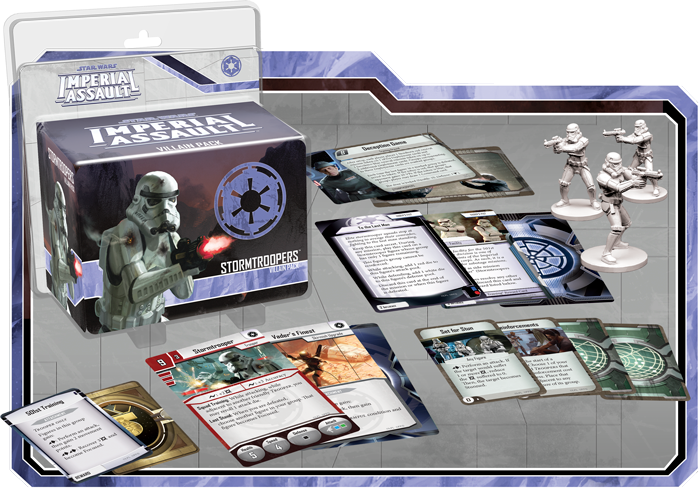 As such, Fantasy Flight is helping Imperial players bulk out their ranks with the new Stormtrooper Villain Pack. As is customary with these expansions, you get much more than just a couple new minis. There's new equipment, tactics, and a side mission included. This mission's Bunker Buster. Failure on the Rebel's part to sabotage the famous 501st Legion training facility will lead to even more elite Stormtroopers taking the field. So sure, they may be seen as just cannon fodder by most, but never underestimate their strength in numbers and there will always be more of them around the corner.